Location: Reilhac, in the Cantal departement of France (Auvergne Region). 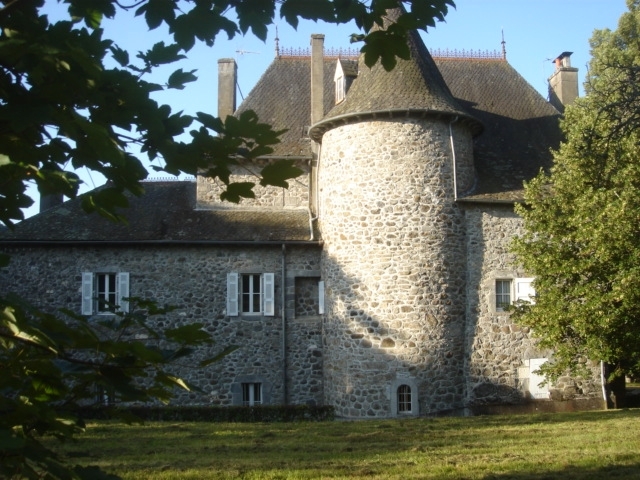 Ownership / Access: Currently owned by the Maitrier Family..
Notes: Castle of Messac is located in the municipality of Reilhac Cantal. He has a remarkable park. The site is located along the old royal road to Aurillac in Mauriac, he dominated the ford on BAYSSE, tributary river of Authre. The building consists of a main building with three floors square leaning north to an old round tower. The set was flanked by following a small wing with a simple lean-bay whose lintel is ogee arched and two basket-handle what dates this part of the fifteenth century. The land register of 1800 does not mention the wing and the south square tower added in the early twentieth century. There existed in the thirteenth century a family of Messac who owned the castle of the same name. Messac was a dependent stronghold of the abbots of Aurillac and the lords of Conrot. Invitations to the banns 1384 and 1384 and 1533, indicate that Messac-lez-Reilhac Carladès and reported to the Viscount of Carlat. It was the headquarters of a local justice until the early seventeenth century. His farm had a mountain with a buron Girgols. After the family of Messac, the stronghold of Crozet families through inheritance Bellestat and La Garde Saignes, then to Caissac of Sedaiges and Léotoing Anjony. Sold as national property during the Revolution, Messac is then owned by the families and Prax Maitrier.